We had the absolute pleasure of recording with Ady Suleiman this week What a VOICE!!! and truly beautiful, soulful songs. We recorded two tracks with Ady, ‘Longing For Your Love’ and ‘If I Die’ together with producer Eric Appapoulay. Strings Arranged by Rosie Danvers, Performed by Wired Strings, String session Produced by TommyD. Engineered by Nick Taylor, Recorded at Air Edel. May 2016. 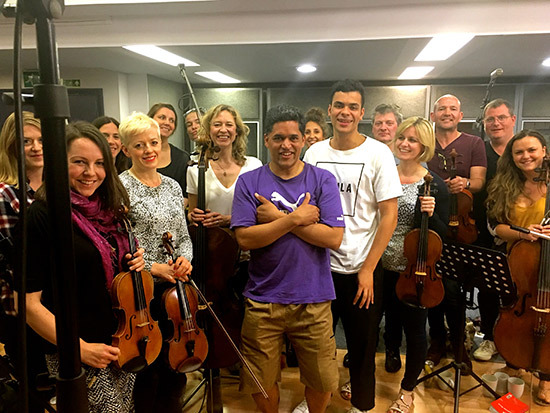 Ady Suleiman, Rosie Danvers, Wired Strings, TommyD and Eric Appapolay at Air Edel, London, May 2016.